While Cairo is exerting its influence in Gaza to avoid a new conflict and mediate a period of calm, Iran sees Gaza as one more base to grow and control a proxy terrorist army. The question’s preamble stated, “Hydrogen Cyanide (HCN) is a poisonous gas, which Nazi Germany used to horrific ends in the gas chambers during The Holocaust.” It then asked to calculate how much of the gas would be a deadly amount in a particular-sized room. Volodymyr Zelensky, a 41-year-old comedian with no political experience, defeated incumbent Petro Poroshenko, 53, with 73 percent of the vote in the runoff election, according to polls. Fatah vice chair Mahmoud Aloul claims that if the current situation continues, the P.A. will cease its security cooperation with Israel and retract its recognition of the Jewish state. Preferring to avoid military options, he is using economic sanctions to bludgeon countries and regimes that pose a threat to U.S. interests. Moshe Kahlon was finance minister in the outgoing unity government, and it has been speculated that he is intent on retaining that role. Irish BDS and LGBTQ activists accuse Israel of “pinkwashing,” and call on Ireland’s Eurovision contestant to drop out of the finals in Tel Aviv. Palestinian Authority military intelligence allegedly uncovered a year-long plot by Hamas to infiltrate the P.A. security framework. The Jewish Cultural Quarter of Amsterdam, which consists of the National Holocaust Museum, dismissed criticism that four pictures were censored, saying they were left out because they do not portray Dutch Jews, who are the focus of the exhibition. The State Department’s Rewards for Justice program, which started in 1984, has given more than $150 million to more than 100 people for providing information about terrorists and potential attacks. Gen. Jack Jacob, who died of pneumonia in 2016 at the age of 92, was the highest-ranked military officer in Indian Jewish history by serving as chief of staff in the Indian army. Amit Kabalana, who has been living and working in the country for two years, says anti-Muslim sentiment has been increasing. White House senior adviser Jared Kushner reportedly told a group of ambassadors that the highly anticipated Mideast peace plan will be released after Israel forms a new government and after the Islamic holiday of Ramadan. PLO chief negotiator says that in addition to 20 extra square kilometers of land Olmert also offered Abbas the Temple Mount and absorption into Israel of 150,000 Palestinians. U.S. Ambassador Ron Dermer said that he is not afraid of the peace proposal, saying that “we know we have a friend here” at the White House in U.S. President Donald Trump. IRINN TV reported on April 16 that the Iranian Parliament ratified the decision by an overwhelming majority. In contrast to its numerous reports on the Israeli elections, the newspaper has continued to neglect Palestinian politics. Rabbi Shalom Ber Stambler, chief rabbi of Chabad in Poland, will host some 100 Diaspora Jewish families of ghetto survivors to celebrate the Jewish festival of redemption. What’s new in kosher-for-Passover baked goods, butters, wearables, kids’ toys and more to relish over the course of eight days. Year after year—in fact, twice a year outside of Israel—we sing the songs of the Passover Haggadah. The same old, same old songs. But spicing up the seder singing doesn’t need to be a hopeless cause. Some 25 tons of matzah is being distributed to vulnerable populations in the former Soviet Union; Passover aid is on its way to Jews in Egypt. The gift coupons, which are valid in the Shufersal supermarket chain, are aimed at giving the soldiers the opportunity to purchase food, clothing, footwear, sports apparel, electronics and other items. To choose freedom, you have to have the courage to take risks. The message Moses brought was twofold: You will be redeemed from slavery, and just as importantly, you will be given the strength to reconcile your inner being with every moment of trauma and abuse. ColumnAre our Passover seders contributing to the problems dividing Jews? You can find backing for both the social justice/universalist idea of Judaism and a more traditional sectarian approach in the Haggadah. This year won’t be any different. There’s an art to preparing traditional foods that retain the power to pass on to the next generation this beloved family holiday while eating smart, creating a Passover that’s healthful without losing its soul. Dermer’s comments come on the eve of an historic announcement whereby President Donald Trump will officially recognize Israeli sovereignty of the Golan Heights. “The people of Israel are very grateful to President Trump,” Dermer stated. File photo: Israeli Ambassador to the United States Ron Dermer. Photo by Miriam Alster/Flash90. 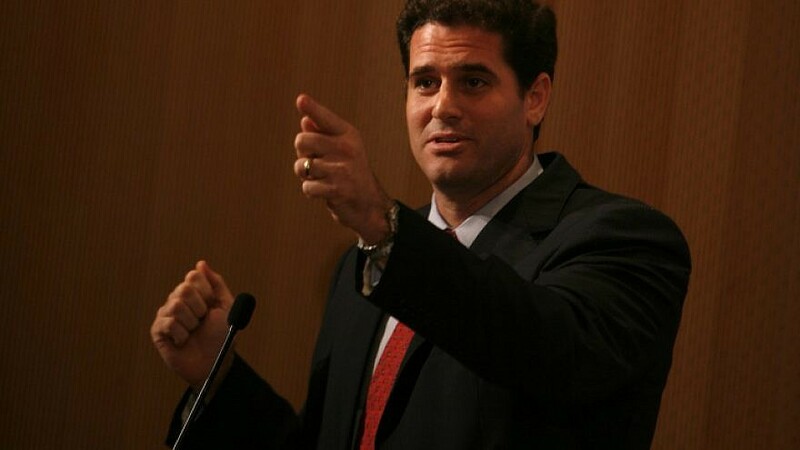 (March 24, 2019 / JNS) Addressing 18,000 attendees at the AIPAC policy conference, Israeli Ambassador to the United States Ron Dermer stated he believes that Israel continues to have strong bipartisan support in the United States. He added that supporting both America and Israel is “supporting two of the greatest forces for good” in the world. “Israel will be the most important ally for the United States in the 21st century. I am supremely confident of that,” said Dermer. Dermer’s comments come on the eve of an historic announcement, when U.S. President Donald Trump has announced his intention to officially recognize Israeli sovereignty of the Golan Heights, a region that was captured from Syria during the 1967 Six-Day War. “It has taken us 51 years to achieve just as great an accomplishment, a diplomatic victory,” he said. “The people of Israel are very grateful to President Trump,” he said. Yet, he noted, Trump’s decision to recognize Israeli sovereignty in the Golan was not the most important decision he has made for Israel. “The most critical decision that President Trump has made was to withdraw from the Iran nuclear deal and reintroduce sanctions against Iran,” said Dermer. Without mentioning former U.S. President Barack Obama by name, Dermer slammed the 2015 Iran nuclear deal, known as the Joint Comprehensive Plan of Action, or JCPOA. He says more work needs to be done to end the deal. “What has to happen is what happened in Warsaw, when [U.S.] Vice President Mike Pence called for European nations to withdraw from the deal. What has to happen is the Iran deal needs to go into the dustbin of history,” he said. Addressing a growing BDS movement, he said that boycotting Israel is “sort of like Oregon, Nevada, Arizona and half of California boycotting Silicon Valley. It doesn’t make any sense,” due to the impressive technology Israel offers in all walks of life. Addressing the now-stalled peace process and the potential for the process to be rekindled by Trump in the coming weeks, Dermer implied that the foundations for peace have not been laid by the Palestinian Authority.